Our product range includes a wide range of Intelligent Toilet, Pearl Intelligent Toilet, Nano One Piece Closet, Wall Hung Toilets, Two Piece Wall Hung and One Piece Closet. We are able to present a comprehensive range of Intelligent Toilet. In line with the set industry standards, the offered product is manufactured using supreme grade basic material and contemporary techniques at our vendor's end. Offered product is highly demanded for its sturdiness and durability. Additionally, our offered product undergoes through diverse checks for ensuring its flawless delivery at our client's end. Provided product is available in various specification as per our client's needs. In line with client's variegated requirements, we bring forth an excellent collection of the Pearl Intelligent Toilet. Our vendor's adept workforce use high grade basic material and sophisticated techniques in manufacturing process of offered product. Our offered toilet is strictly checked on diverse parameters of quality to ensure its appealing design. 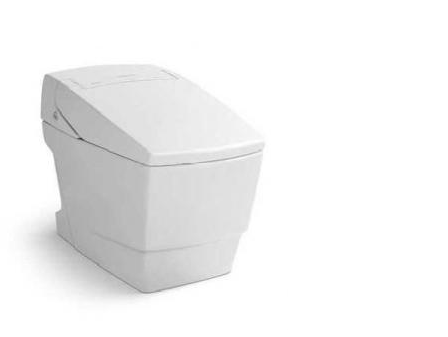 This toilet is available in a variety of designs at budget-friendly price. We have gained recognition as an eminent enterprise, actively engaged in offering a broad range of Nano One Piece Closet. This closet is manufactured with the aid of our vendor's well trained professionals using the best grade basic material and other allied material. Owing to its elegant look and robustness, offered closet is much admired in the market. In accordance with the set industry specifications, this closet is rigorously checked against numerous quality parameters. We are passionately engaged in providing an exclusive array of Wall Hung Toilets to our customers. Our offered product is manufactured using superior quality basic material and ultra-modern techniques under the strict surveillance of our vendor's deft professionals. Owing to its various colors and attractive design, our offered product is acknowledged by our renowned clients. Besides this, client can avail provided product from us at feasible price.